Above: ICC Chinese Language Institute and the Peoria Area World Affairs Council will co-host the National Committee on U.S.-Chinese Relations’ 11th Annual China Town Hall event Oct. 24 from 5:45 to 8 pm at the ICC Peoria Campus. The event features an eighty-city webcast with former National Security Advisor and U.S. Ambassador to the U.N. Susan Rice (pictured here), as well as a local moderator to facilitate questions. The event is free and open to the public. 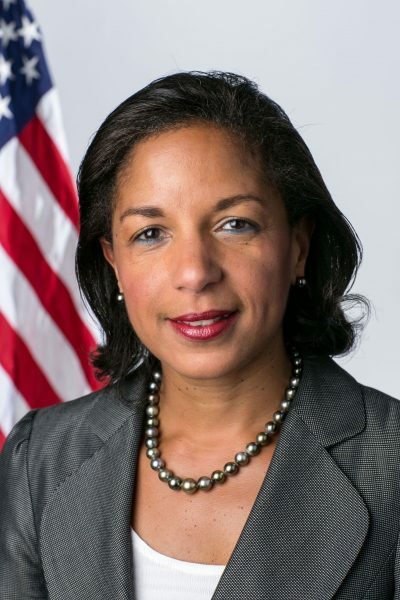 ICC Language Institute and Peoria Area World Affairs Council will co-host the 11th annual China Town Hall event, an eighty-city webcast featuring former National Security Advisor and U.S. ambassador to the U.N. Susan Rice. The local, live webcast takes place Tues., Oct. 24 from 5:45 to 8 pm in the Arbor Hall Auditorium, Room 111, on the ICC Peoria Campus, located at 5407 N. University St., Peoria. Chinese tea will be served. Admission is free and open to the public. The national event is presented by the National Committee on U.S.-China Relations with a goal to engage in a conversation on China and the complex U.S.-China relationship, as well as its influence on the U.S. economy, policies, and security. The event has two components: a webcast hosted at approximately eighty venues nationwide and featuring Ambassador Rice, as well as an on-site China specialist and moderator, which will be ICC Assistant Professor of History Stan Mendenhall at the Peoria location. Attendees at the local events will submit questions to Ambassador Rice through their local moderator.